Hey everyone. I have a new post up over at A Blog Named Hero Today. 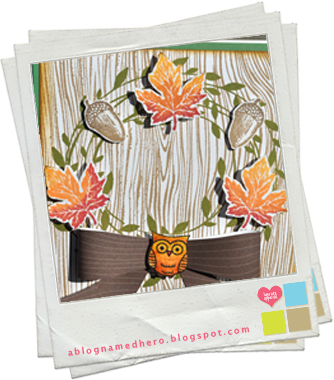 I showcases 2 tags and a card that would be perfect for any Fall gifts this year or for Boo Baskets. So go take a peek and I will be back here tomorrow with more detailed photos and descriptions of how I did all 3 items.